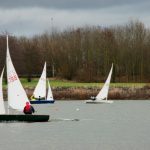 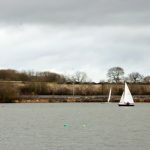 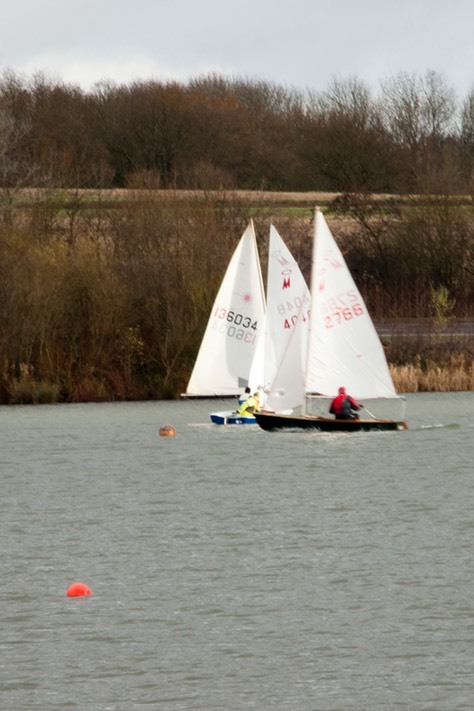 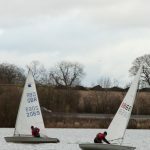 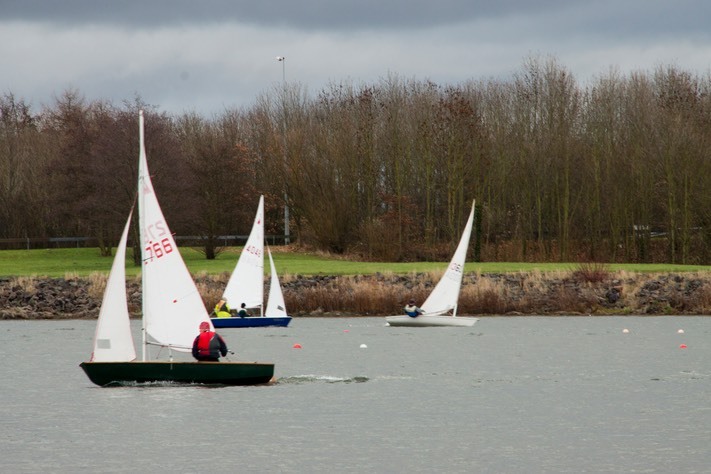 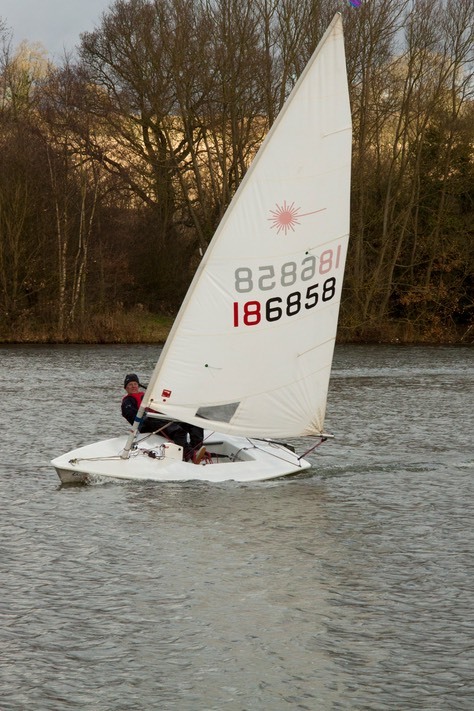 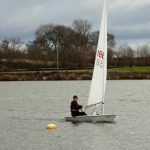 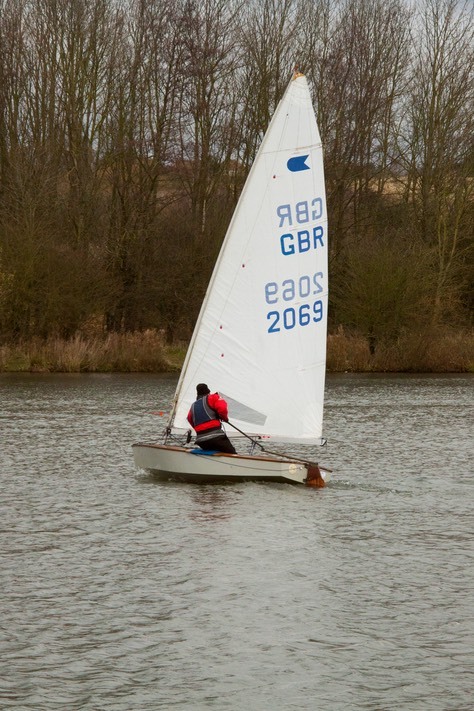 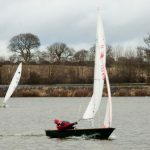 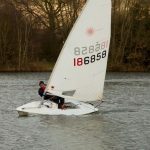 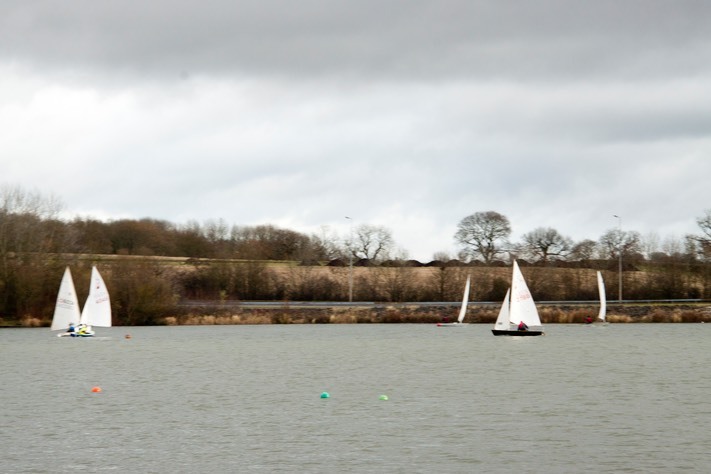 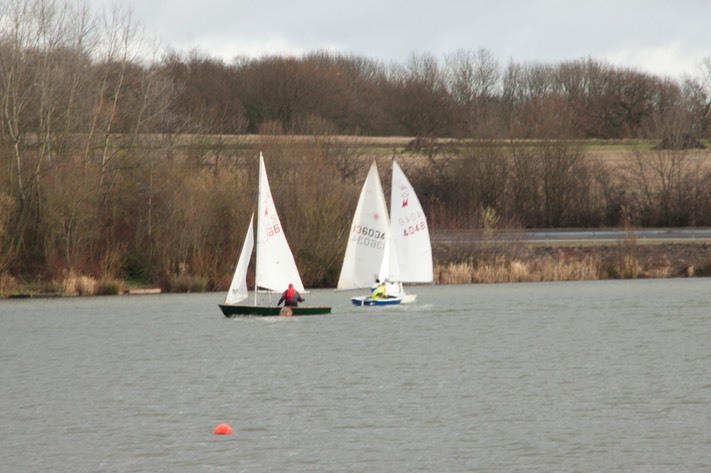 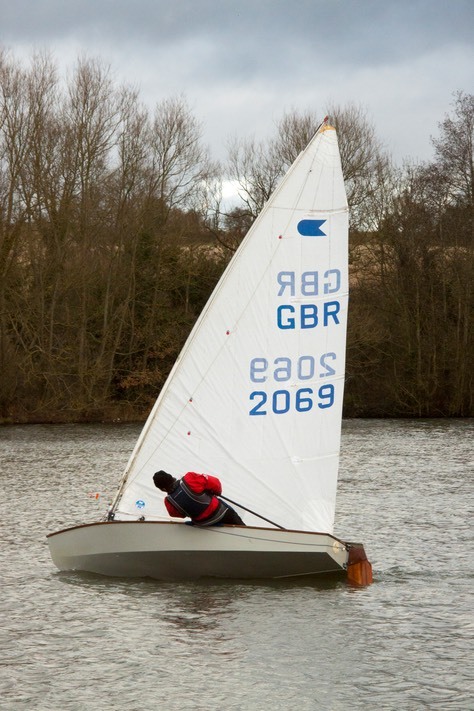 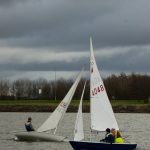 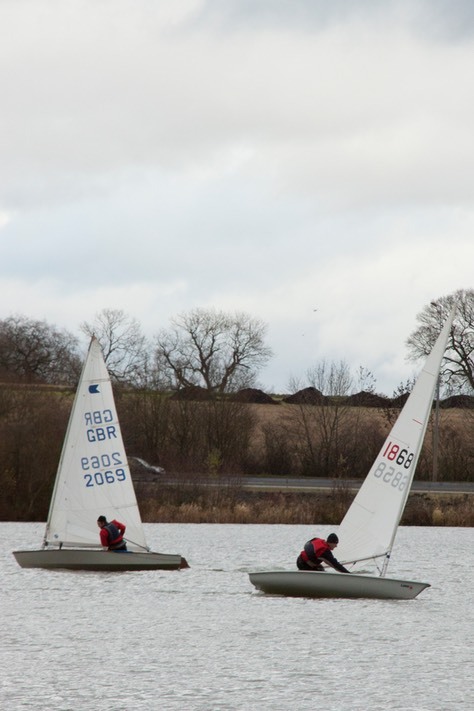 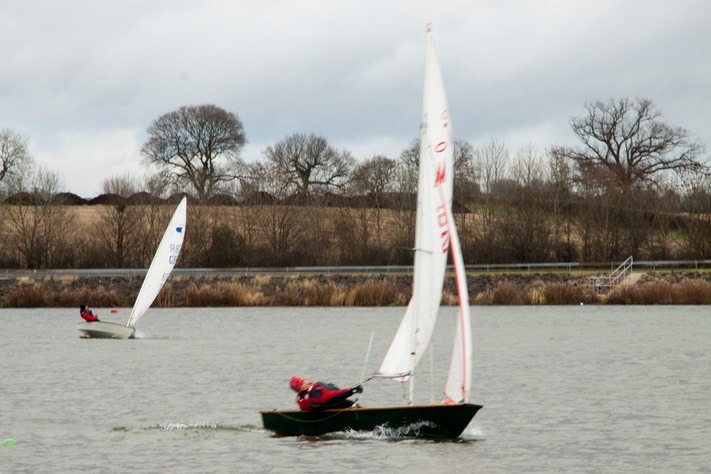 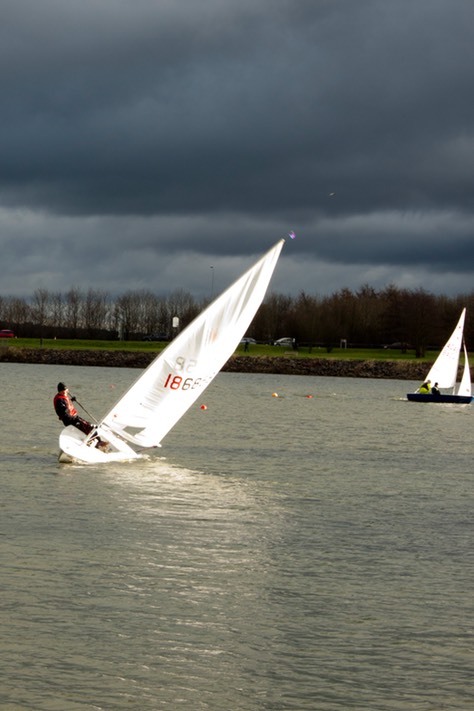 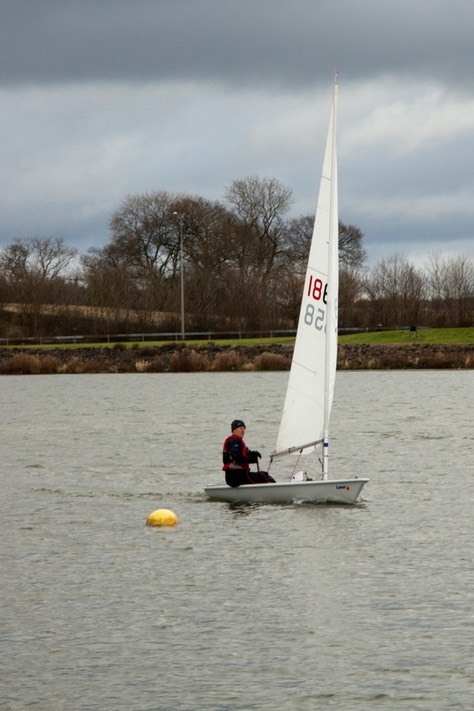 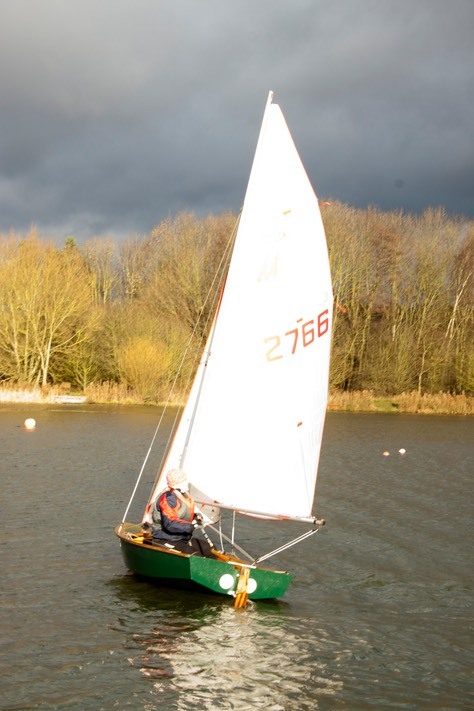 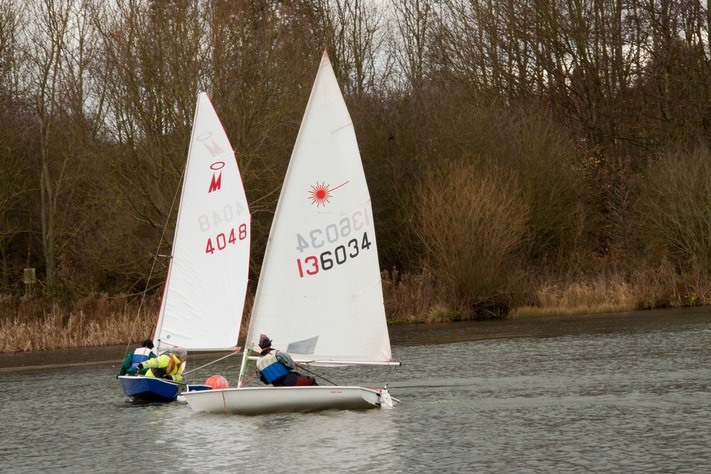 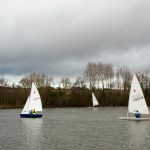 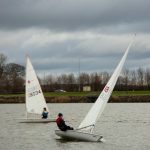 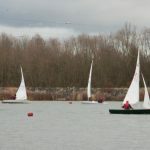 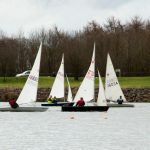 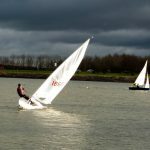 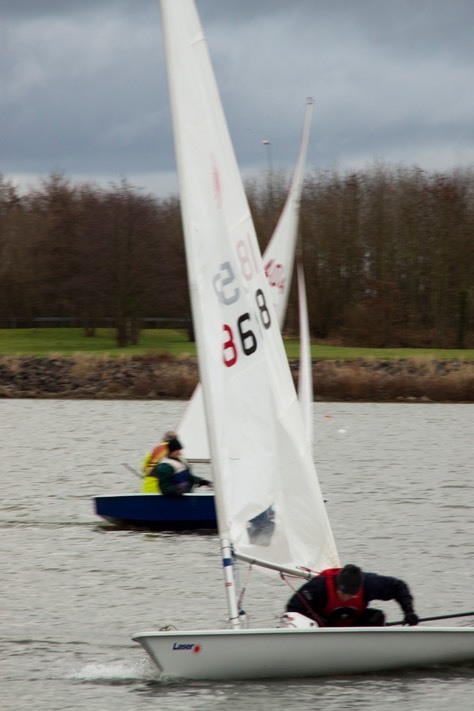 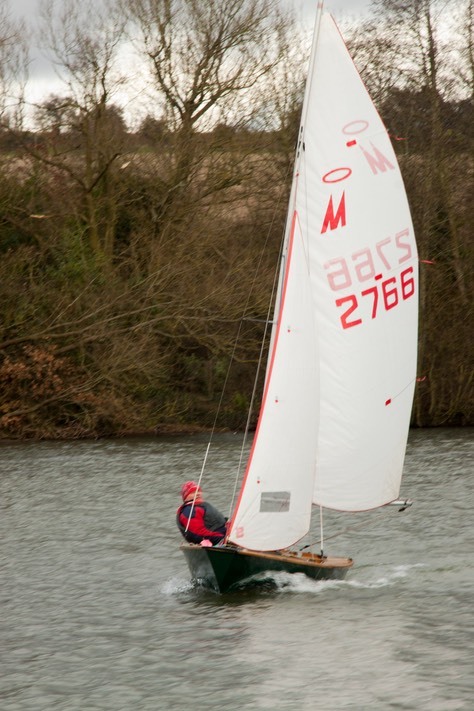 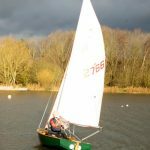 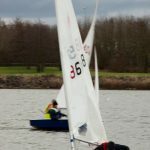 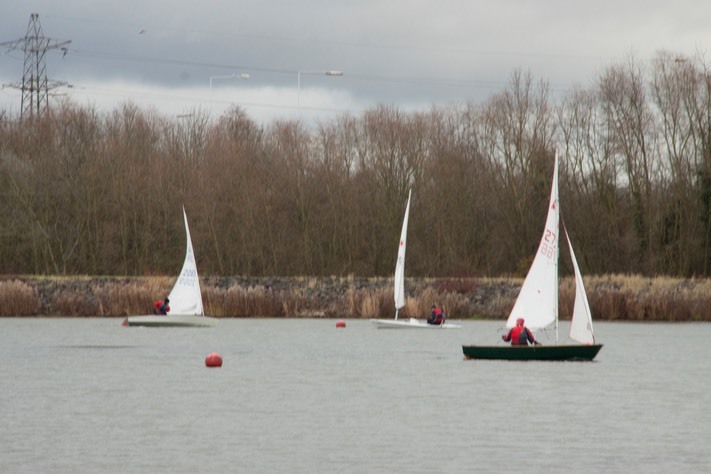 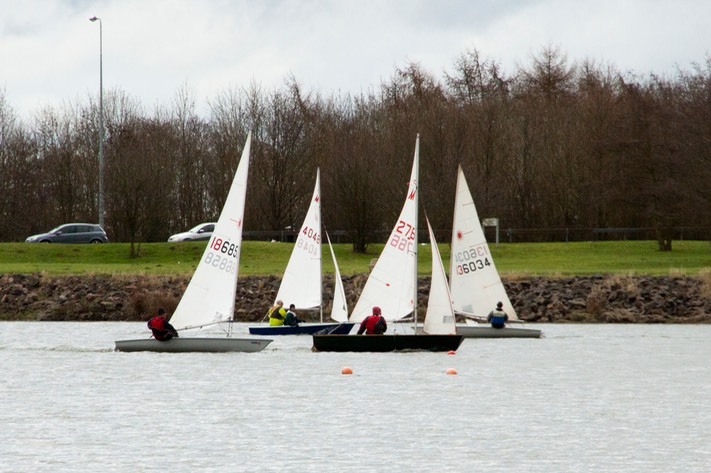 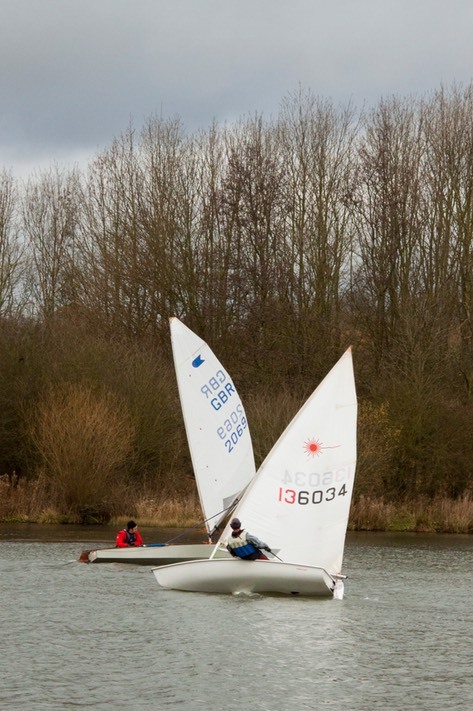 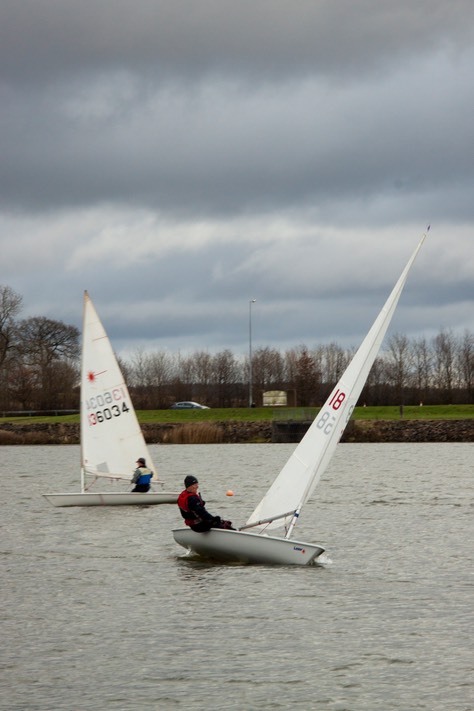 What a fantastic way to round off the year with the traditional Christmas Cup Regatta! 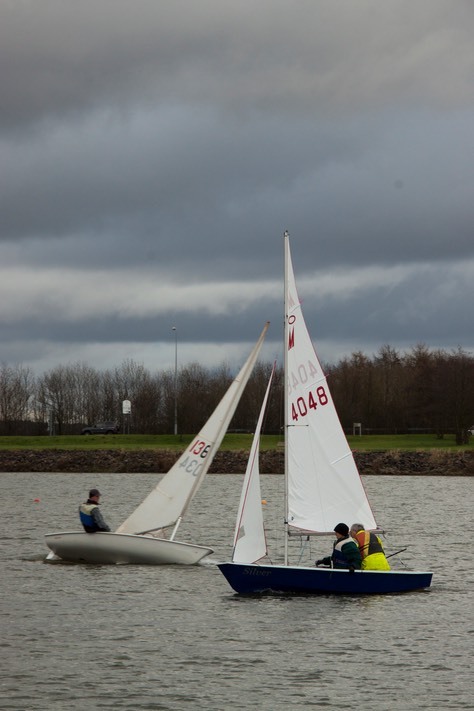 Â Albeit somewhat gusty, there was a good strong westerly blowing which led to an exciting pursuit race. 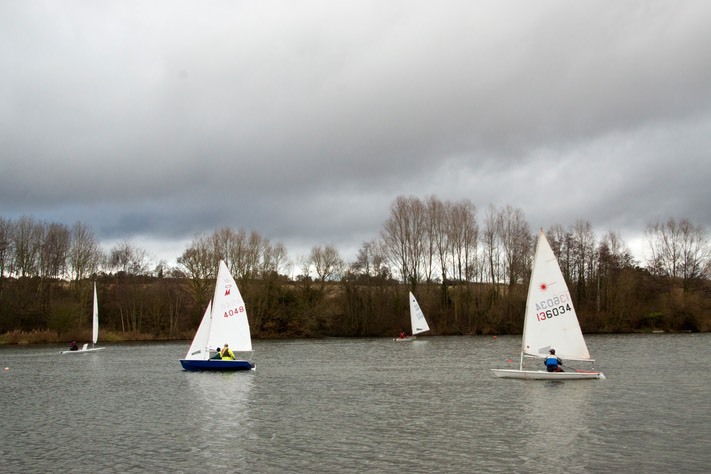 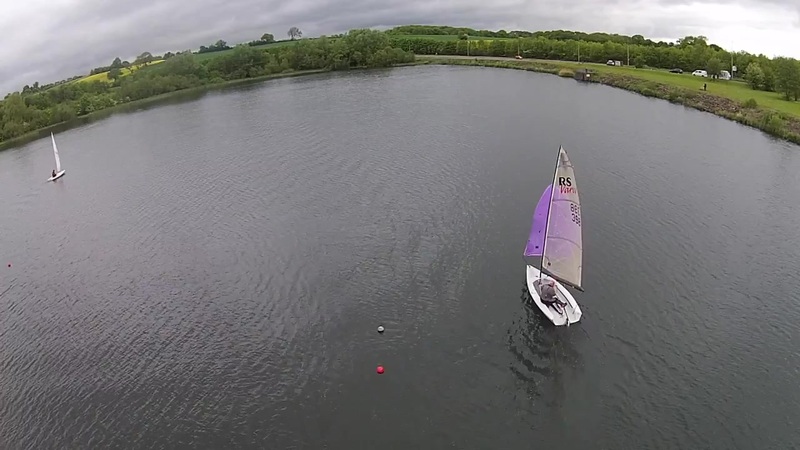 Â There were six boats racing, being two Lasers, one OK and three Miracles. 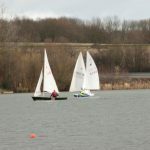 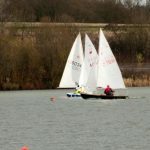 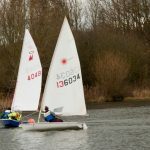 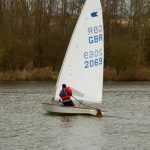 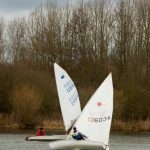 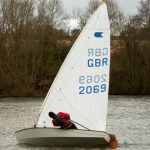 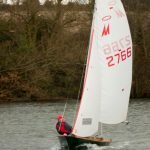 Â However it was the Laser’s day and Phillip Morris took the honours for 2012 – some photos below of the trophy presentation, and don’t forget to look at the gallery for action photos from this race! 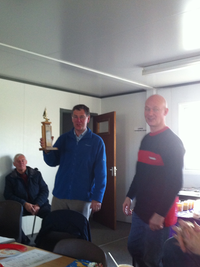 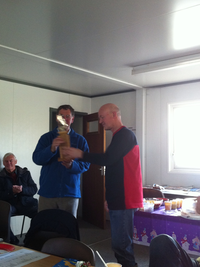 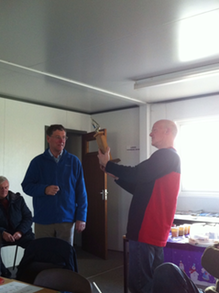 ….before making the presentation to Phil…..
….who is wondering whether there is space in the trophy cabinet!